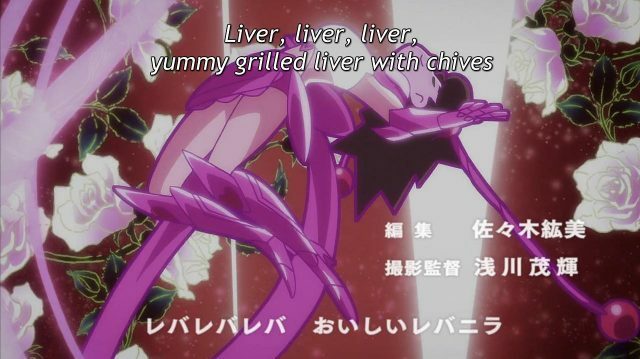 I’ve been sampling the new offerings on Crunchroll. As usual, most don’t pass the five-minute test.1 The few that I didn’t immediately abandon are mostly comedies of various sorts. 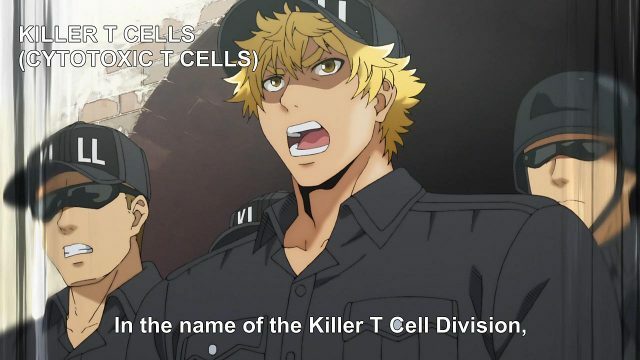 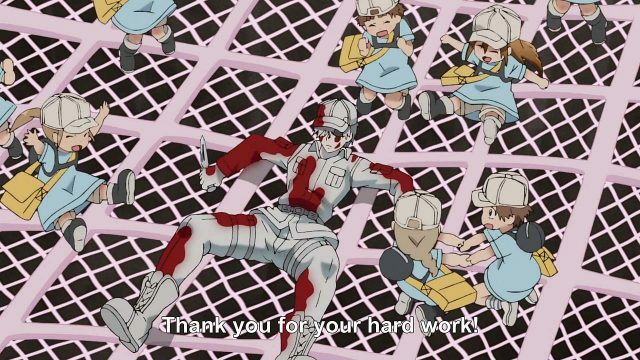 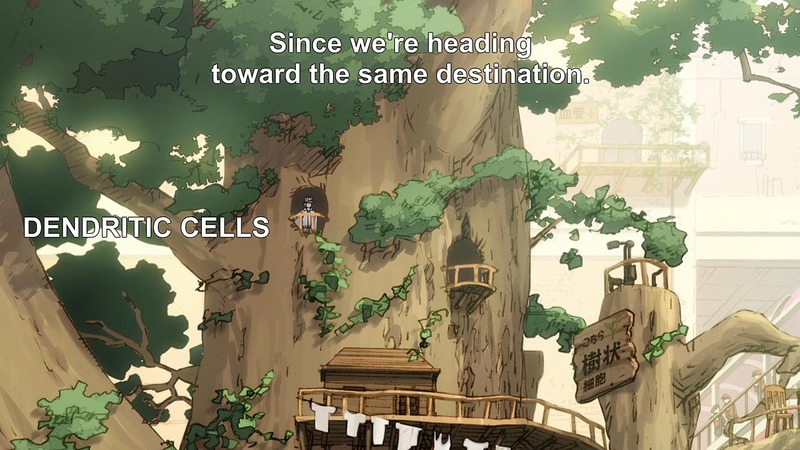 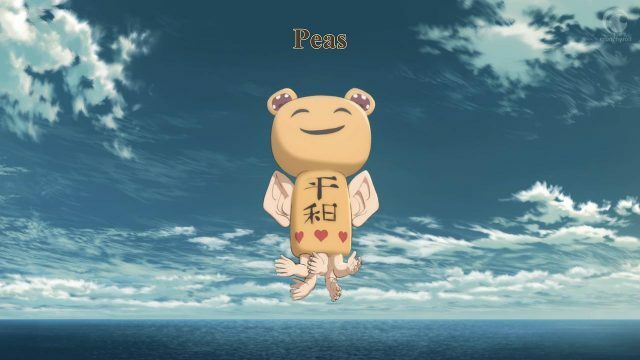 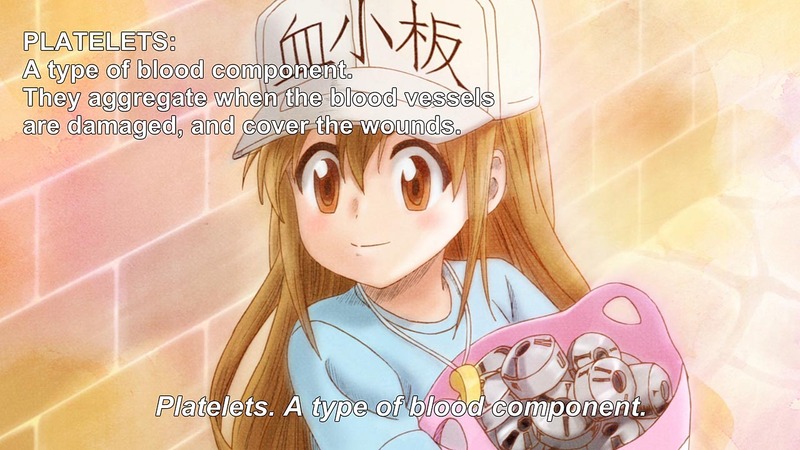 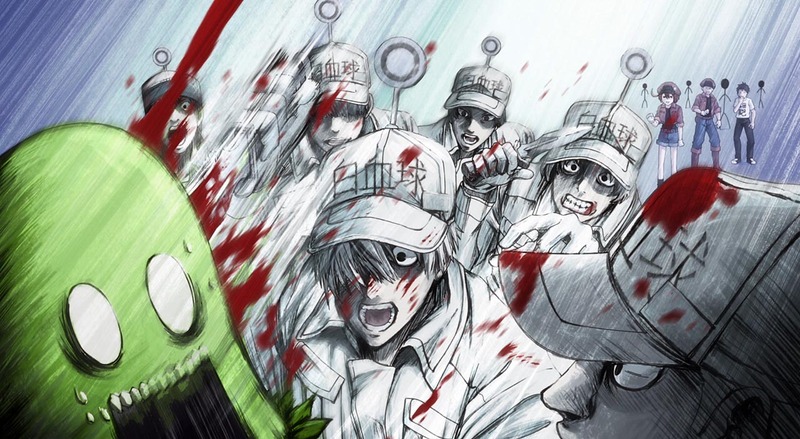 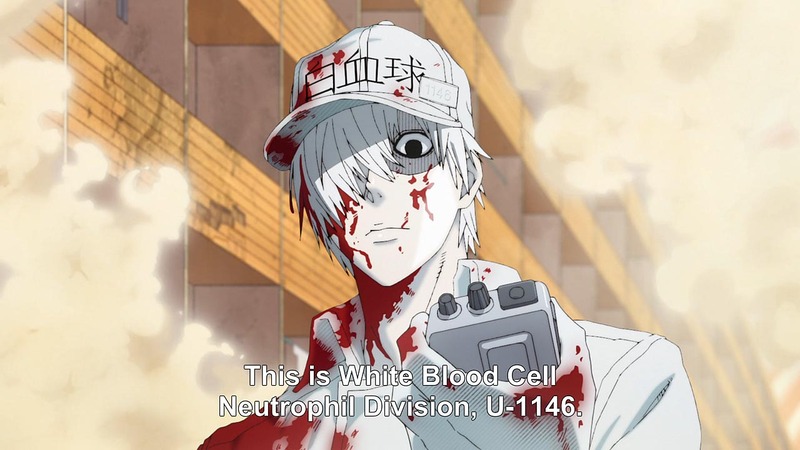 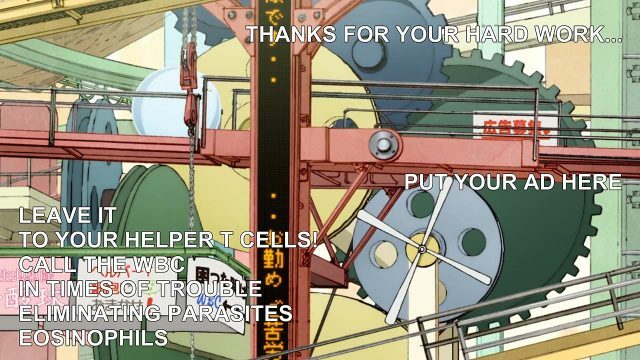 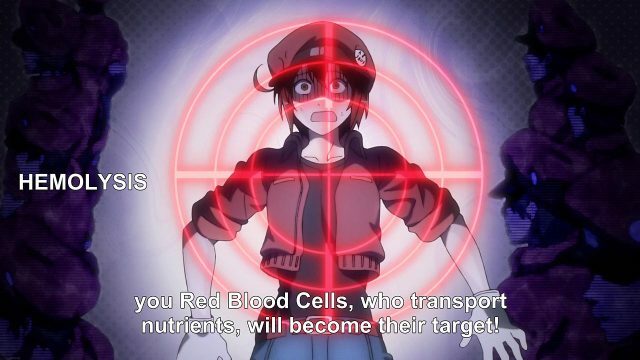 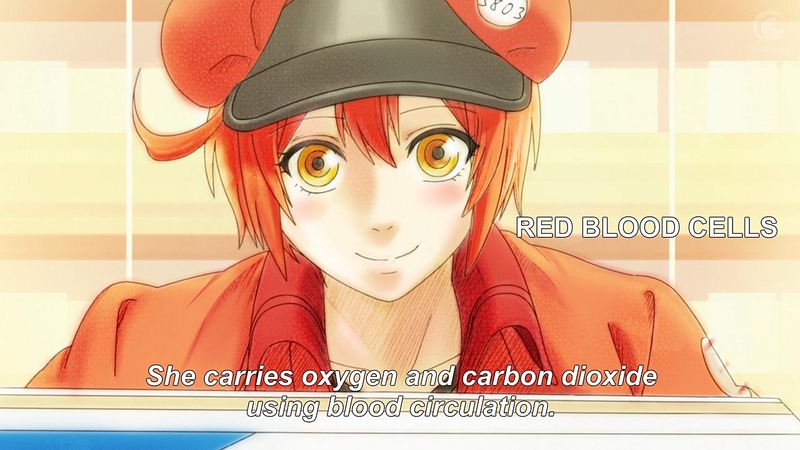 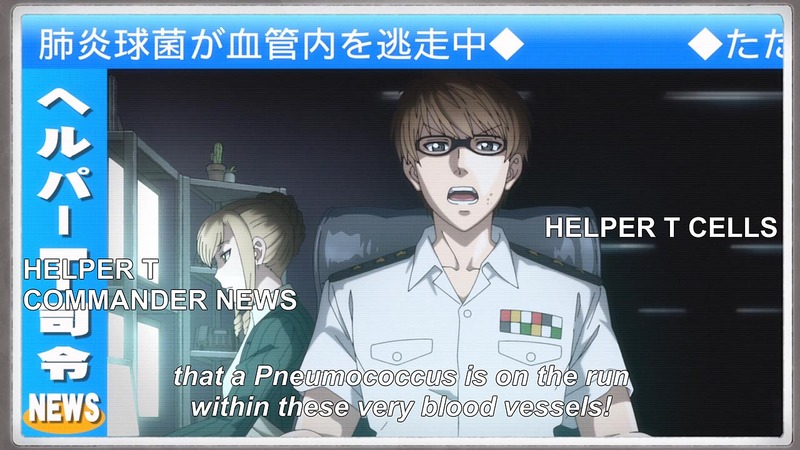 The best new offering is Cells at Work, which deserves a post of its own. Until I get around to that, see Wonderduck. 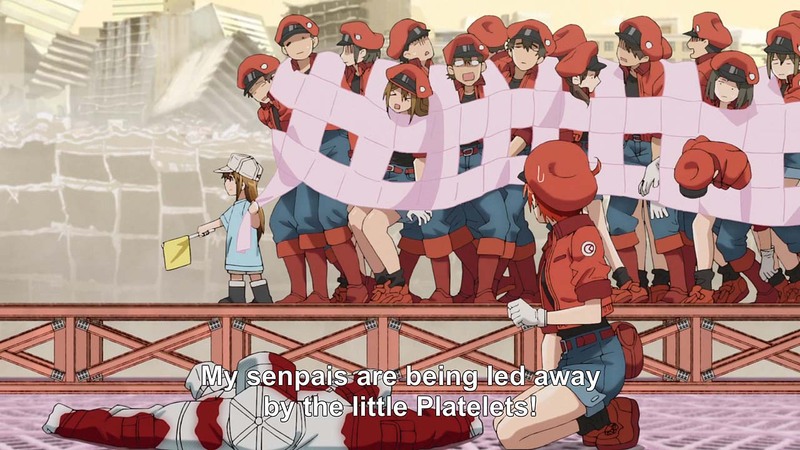 There are more screencaps below the fold. 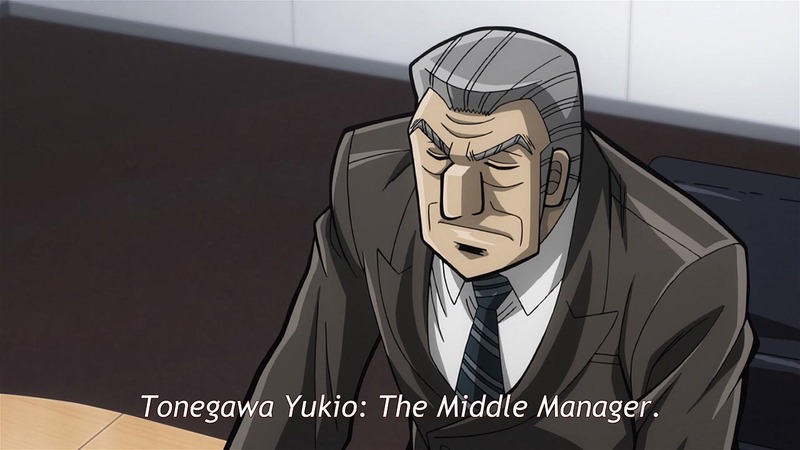 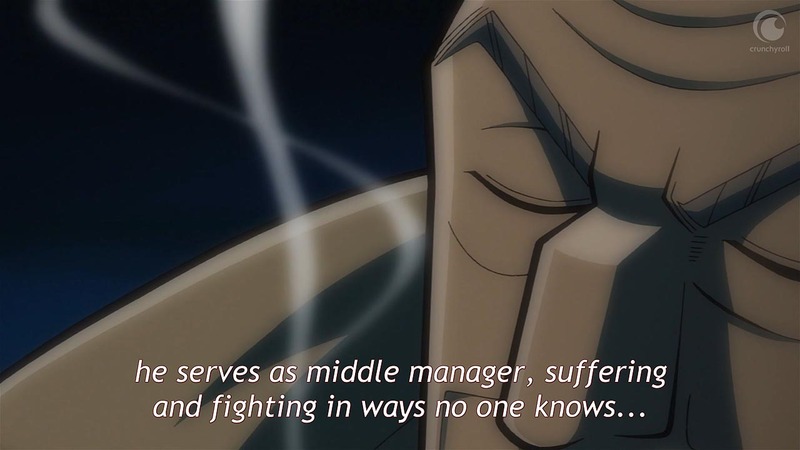 Mr. Tonegawa: Middle Management Blues is the mock-heroic tale of an upper-level executive in an organized crime syndicate. 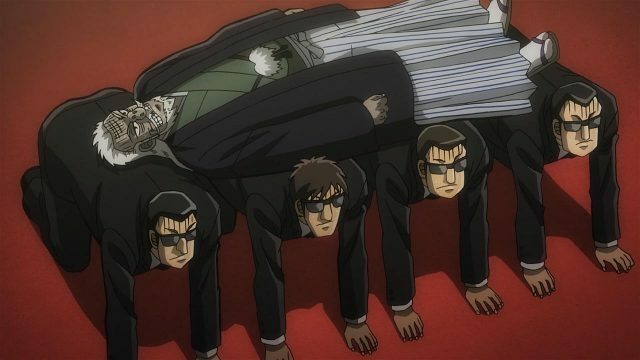 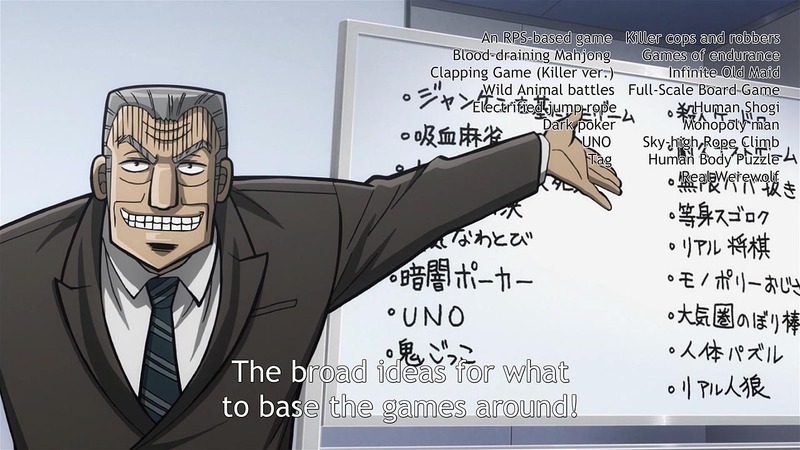 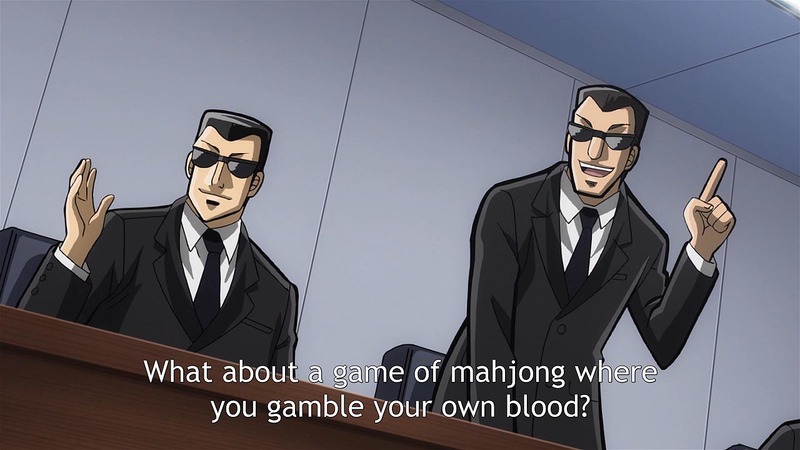 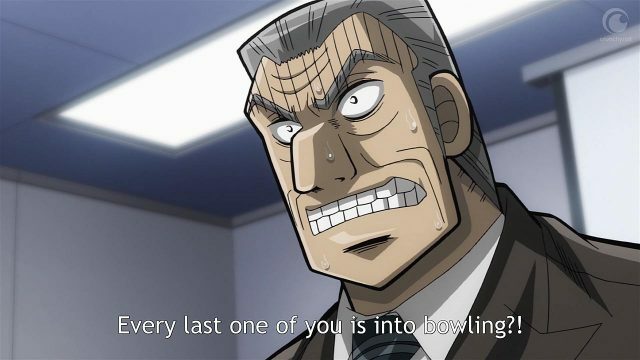 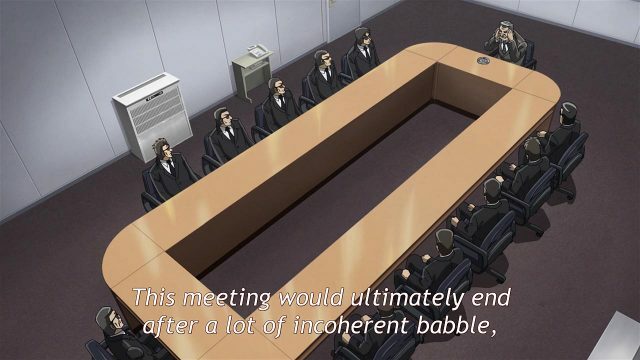 Through the first three episodes we see Tonegawa conduct grueling meetings, deal with his deranged, perhaps demonic boss, and broil Kobe beef for his underlings at a picnic. 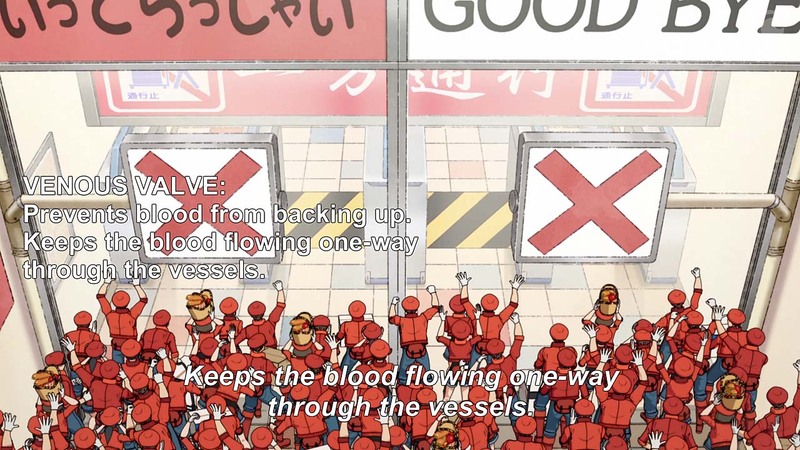 It’s laboriously funny, but enough of it works that I will probably continue watching. I’d probably get more out of it if I had seen Kaiji and Akagi. 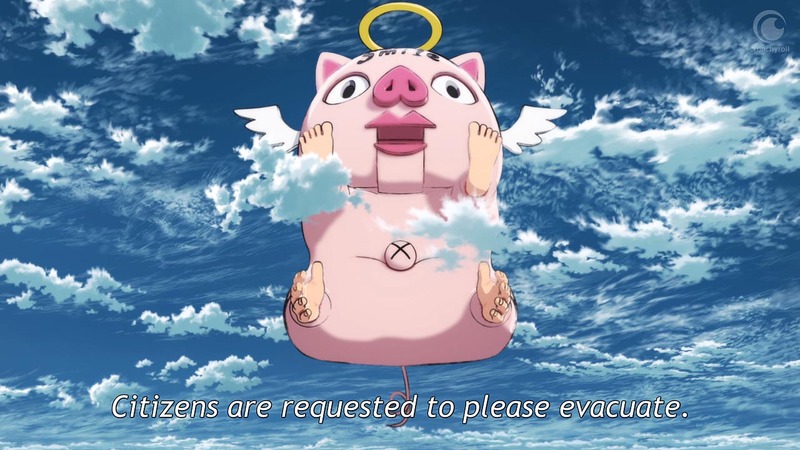 Planet With, a tale of absurd planetary menace, reminds me a little of Zvezda, but it makes even less sense. 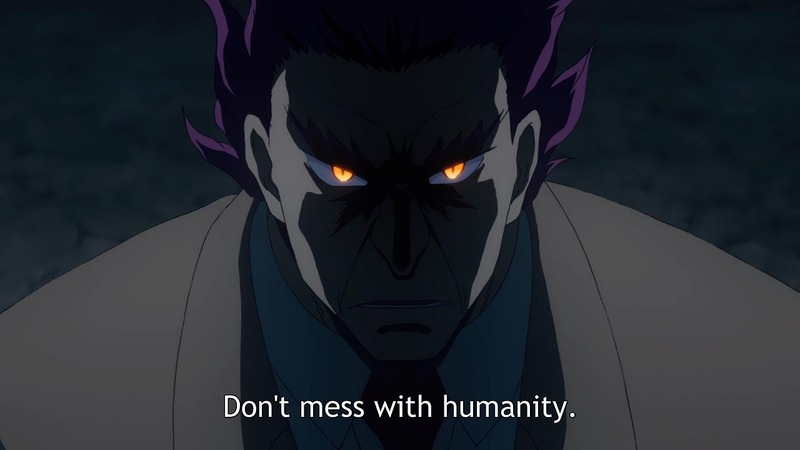 As of the second episode it’s still not clear whether the forces the hero has allied himself with are good guys or bad guys. I’ll probably never know, since I don’t plan to watch more. 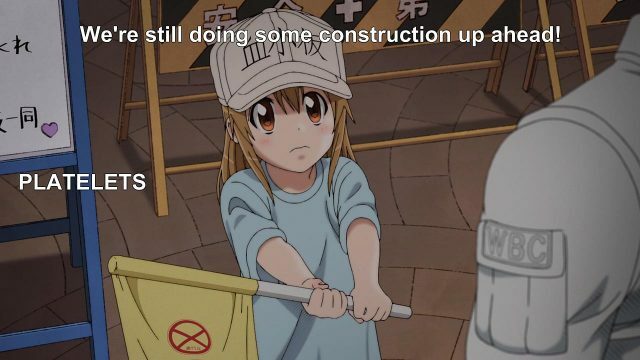 Late Night! 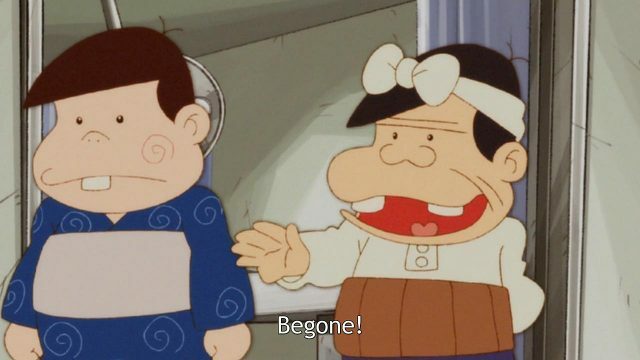 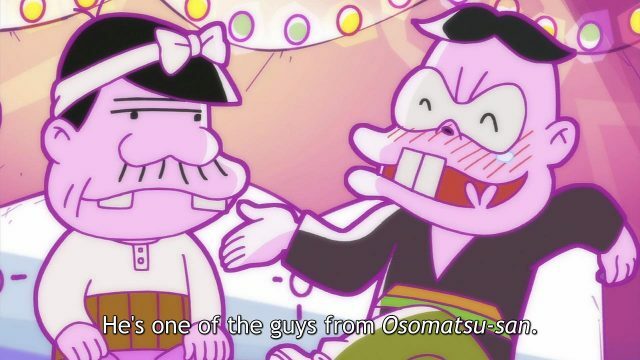 The Genius Bakabon is a silly gag show. If you liked Osomatsu-san, you might like this, but two episodes were enough for me. 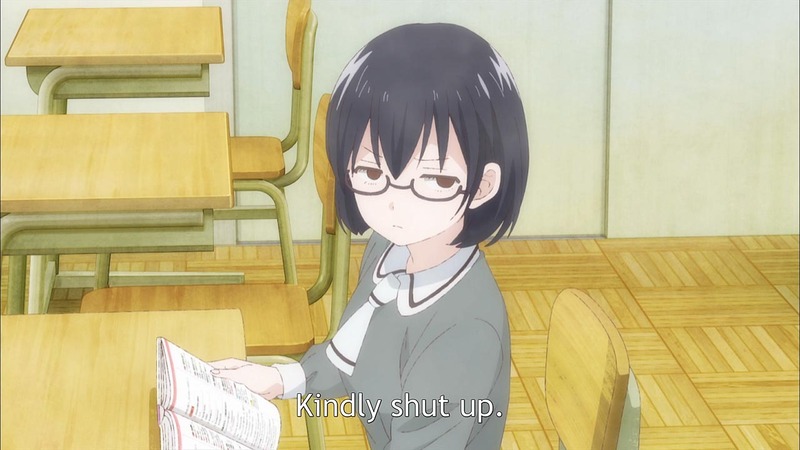 I almost quit Asobi Asobase – workshop of fun – in five minutes, but I stuck it out and watched the entire first episode. 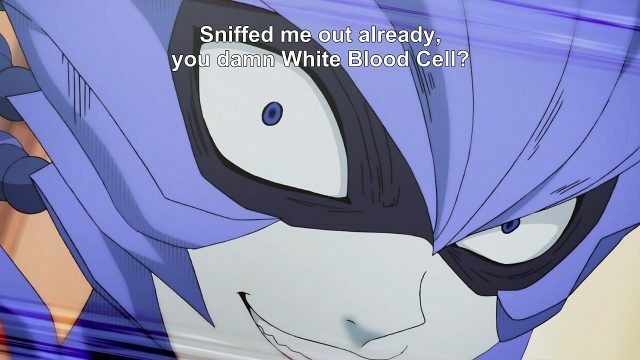 I should have trusted my initial reaction. 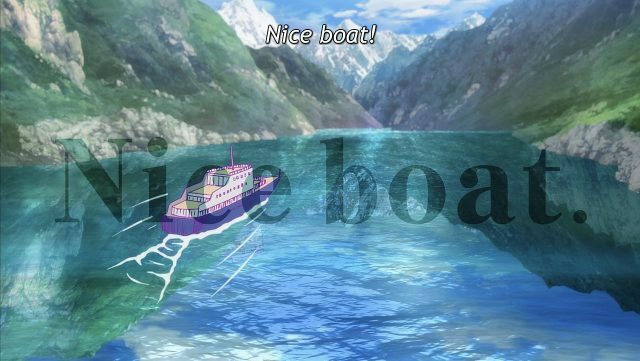 There are three unappealing high-school girls, some mild gross-out humor but nothing really funny, and an opening featuring lots of lilies. No thank you. 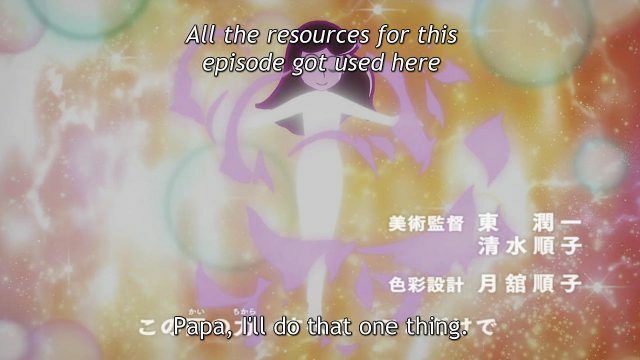 Let no screencap go to waste. 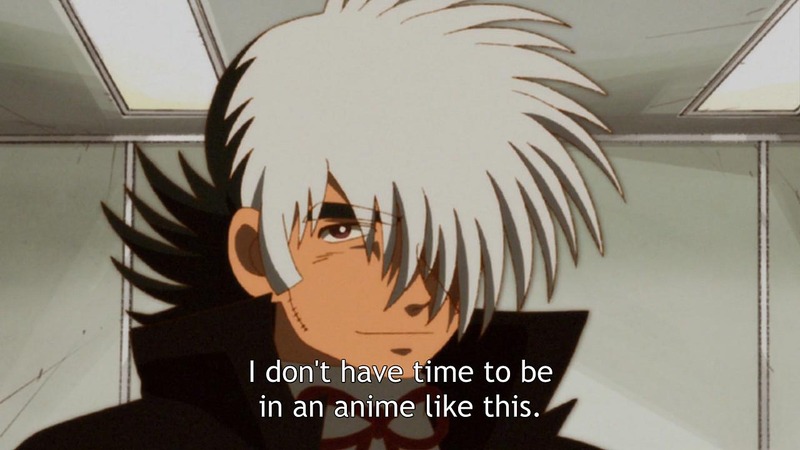 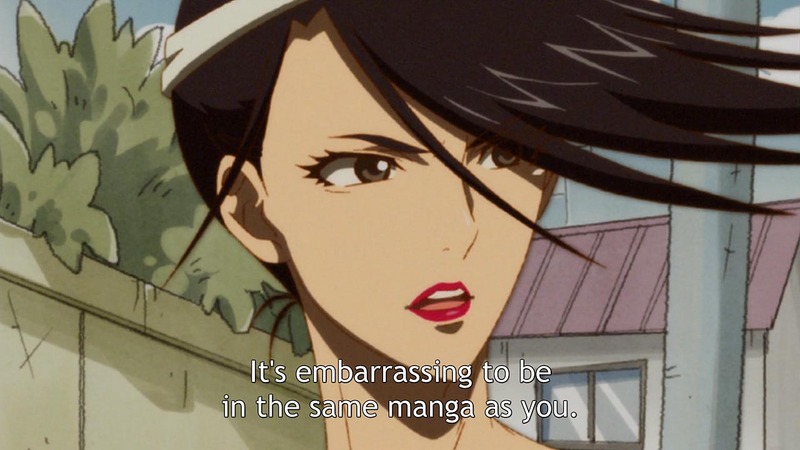 Many in the otakusphere talk of the “three-episode test,” which tells me that they’re indecisive and that they have too much spare time. 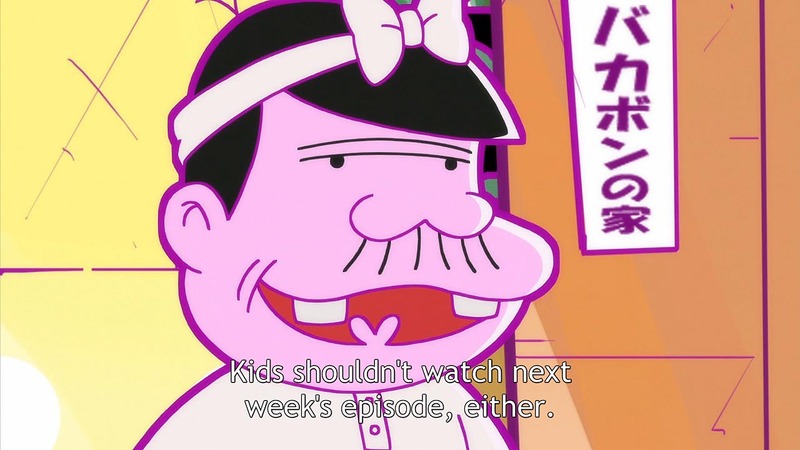 I can usually tell within five minutes if a show will be tolerable. Sometimes five seconds is all it takes. 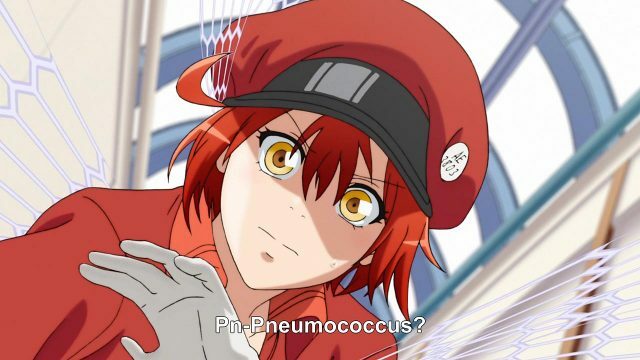 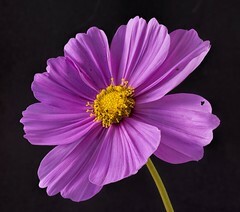 What do you have against lilies? 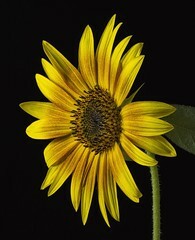 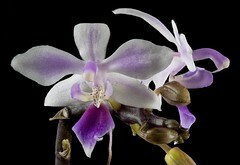 I’m quite fond of the family Liliaceae. 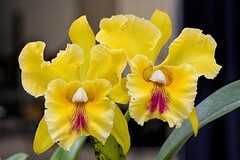 However, in anime lilies are frequently associated with yuri, which is not an interest of mine.